The trailblazing North East Solicitor Apprenticeship (NESA) programme, which has so far offered opportunities to 13 solicitor apprentices at five regional law firms and in one in-house legal team, is now preparing to launch for a second year. This year, the programme is working with Northumbria University who will provide the academic support to the apprentices who are recruited in September 2018. Having led the group of law firms that established the successful NESA programme last year, taking on three apprentices of our own, we’re delighted to be offering another opportunity for school leavers this year. Northumbria University is hosting an event on 27 March 2018, for anyone interested in applying to this year’s scheme. It’s the best way to meet all the firms involved and find out how to apply. Click here to register. The programme has won widespread praise for its innovative approach in opening up the legal profession to young people and offering an alternative route into law. An instant success, NESA was shortlisted for a national award just months after the scheme began. Apprentices at Muckle receive a host of benefits, including a starting salary of £16,000, 27 days holiday and a pension. Think you’ve got what it takes? 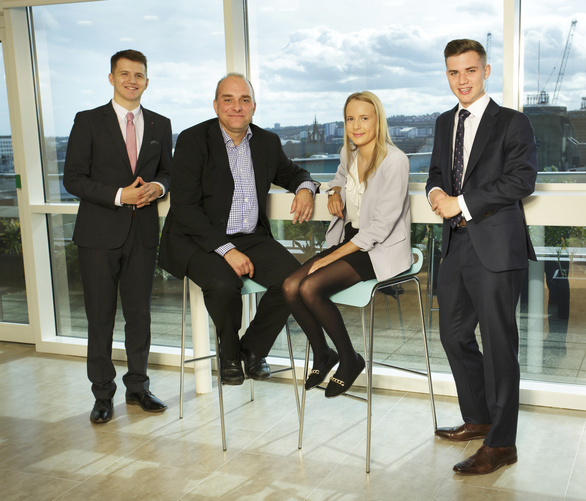 Click here to learn more about being a Muckle apprentice solicitor.